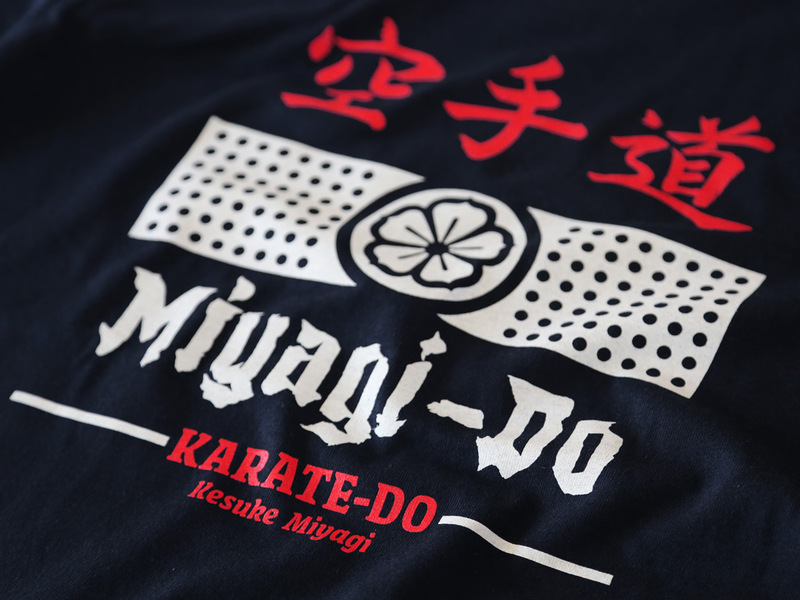 A two colour design, hand screen printed on a 100% cotton navy fitted t-shirt. 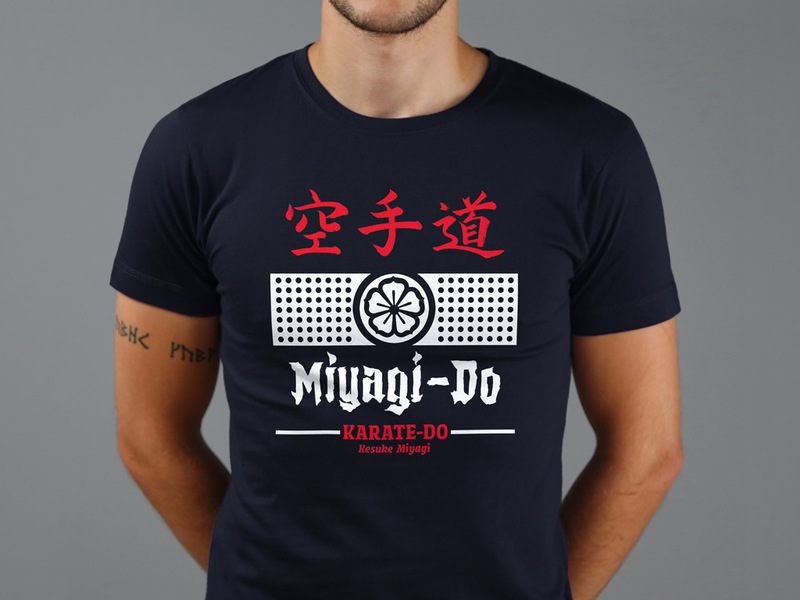 Inspired by the film The Karate Kid, a 1984 American martial arts drama film produced by Jerry Weintraub, directed by John G. Avildsen, and written by Robert Mark Kamen. It stars Ralph Macchio, Pat Morita, Elisabeth Shue, and William Zabka.